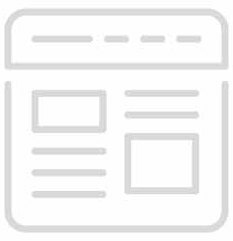 Originally from Clarendon, Jamaica, we are a family owned and operated business and we strive to put out the highest quality, best tasting Caribbean dishes. Our friendly staffed is knowledgeable and eager to make your experience with us a memorable one. 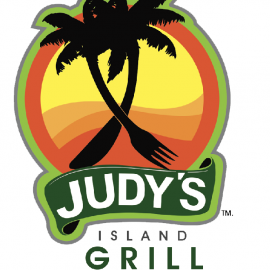 So whether you are dining in or carrying out, having your food delivered or catered, let Judy's Island Grill bring the taste of the Islands to you.With over 30 years of experience in the restaurant industry, Judy (a.k.a "Miss Judy") decided to branch out and open her very own restaurant in 2000. Since then she has open three locations, two of which still exist today in the Park Heights and Glen Burnie area. 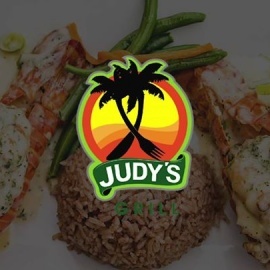 Judy prides herself on her culinary expertise with Caribbean cuisine. She started cooking at the tender of 10 after being inspired by her mother who was also an excellent cook. From that point on there was no turning back. Judy's passion is to have everyone young and old experience a little taste of the Island that she loves so much!We specialize in authentic Caribbean dishes such as Jerked Chicken, Jerked Pork, Oxtail, Curried Goat, Curried Chicken, Stewed Chicken, Stewed Beef, Steamed Snapper, Curried Snapper, Stewed Snapper, Rice and Peas, Ackee and Saltfish, Callaloo and Saltfish, Okra and Saltfish, Steamed Cabbage, Fried Plantains, Fried Dumplins, Sea (Irish) Moss, Fruit Punch (Island Blast), Pineapple Ginger, Carrot Juice, Sour Sop.